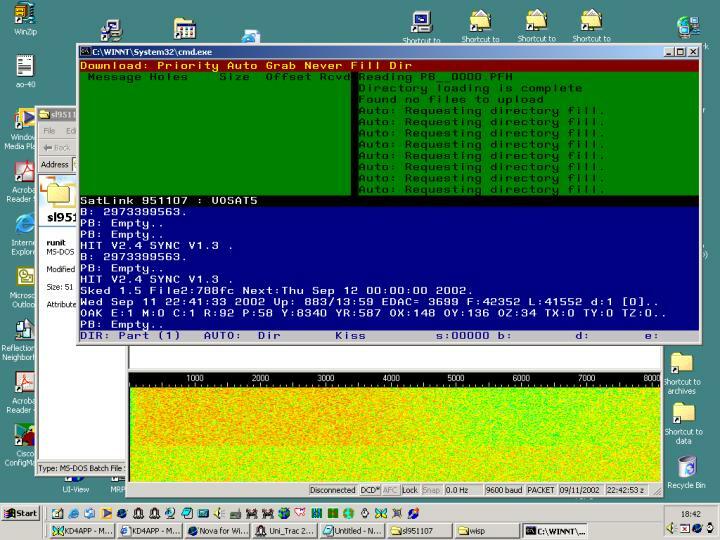 9/11/2002 - Just began testing 9600 baud PACSAT packet with soundcard. 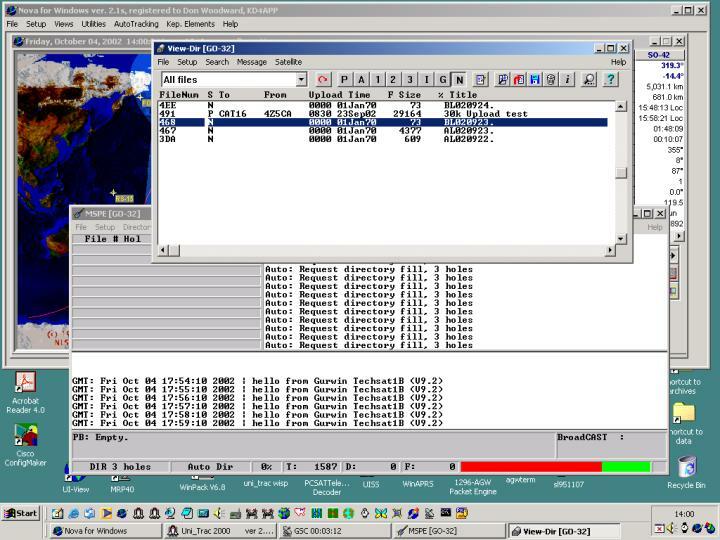 12/14/2002 - See Howard's (G6LVB) write up information on using a soundcard to work PACSAT here (Word) and here (HTML). 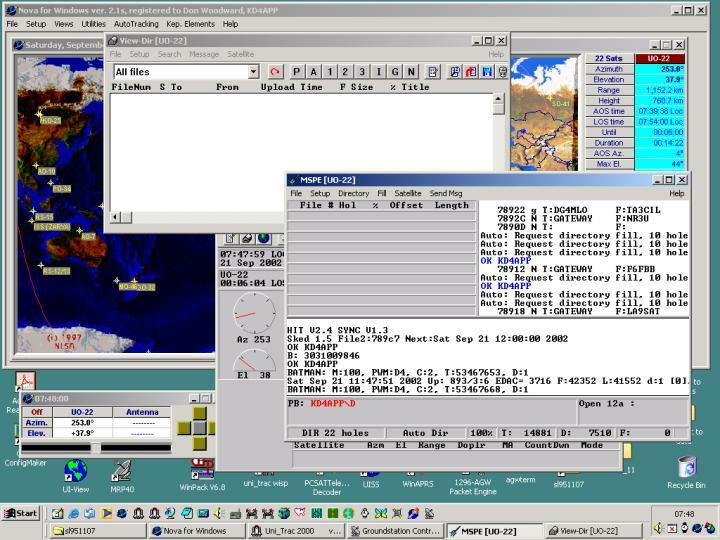 MIXW (here), a virtual COM port driver downloaded from MIXW site (here), and SATLINK (here).